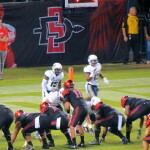 All eyes in Qualcomm Stadium watched SDSU running back, Donnell Pumphrey, as he stole the offensive spotlight with 181 yards. 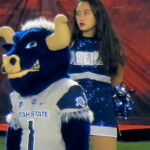 Really, though, the entire offense steamrolled Utah State with six scores on their first six drives. 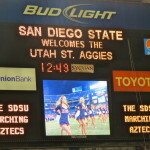 The Aggies just couldn’t recover and the Aztecs finished with a 48-14 victory. 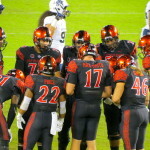 After a slow start to the season, San Diego State is now waking up and in the driver’s seat to win the Mountain West. 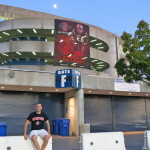 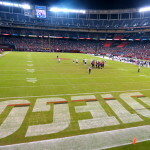 It’s evident that fans are beginning to feel the excitement coming together to create a lively atmosphere at Qualcomm Stadium. 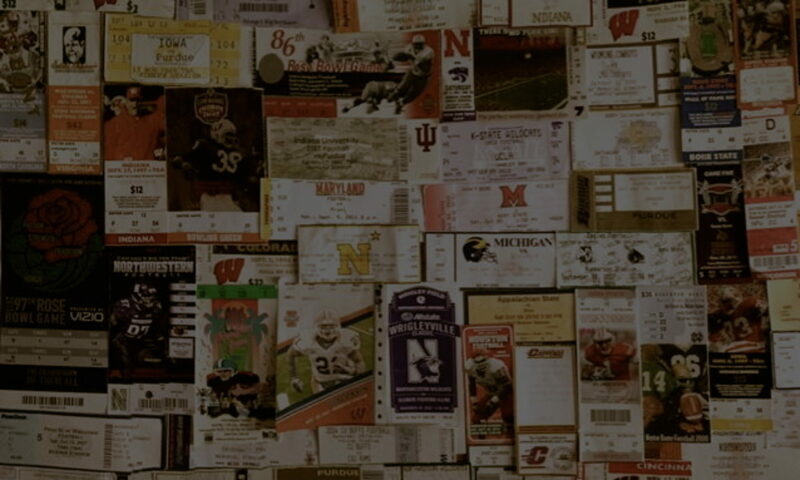 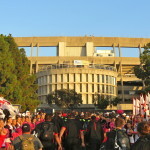 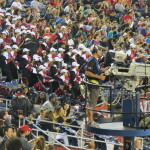 Friday night games can be a bit tricky, but throngs of red and black crowded the lots outside this concrete bohemoth to see their team make their arrival to the stadium. 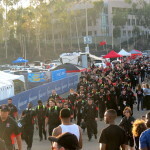 Near to Qualcomm Stadium, the Aztec Village was the hoppin’ spot. 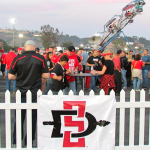 An almost carnival-like setting gave patrons food, drink, music, and even rides for the kiddos. 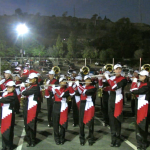 The Aztec band made their appearance and rocked out the fight song, while the Aztec Warrior energized the crowd with a simple raise of his arms. 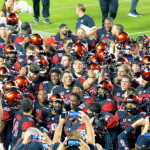 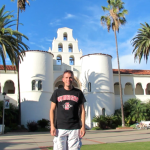 Passion runs high for Aztec athletics and Friday night was no exception. 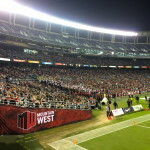 At this point, San Diego State is the team to beat and excitement for a fantastic finish is palpable.